Putting the gas back in gastronomy. 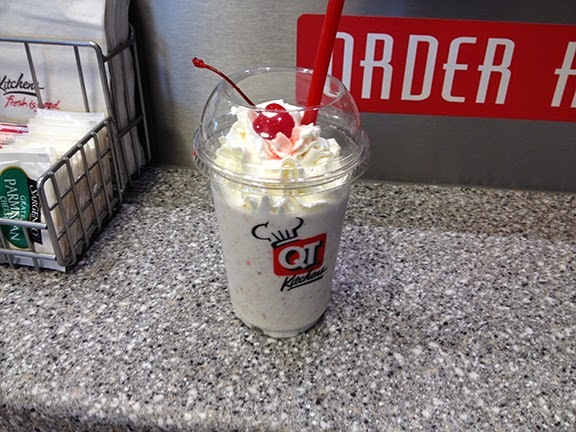 It may sound blasphemous, but if we’re being honest, QuikTrip is our favorite gas station restaurant. We love the roller grill wonderland, and QT certainly gets you in and out quicker than Oklahoma Joe’s, even if they don’t have a Z-Man. 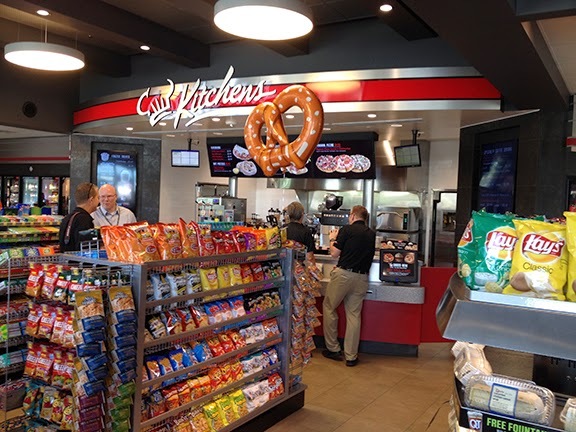 And now they’re launching QT Kitchens with a slew of new made-fresh-to-order items in a bunch of locations around town. Your Lunch Bloggers were excited to attend a tasting event where we could check some of them out. Held at a new QT the day before it opened, we arrived and were told to step up and use the touchscreen to order whatever we wanted. This may be the closest we ever get to a Wonka’s Chocolate Factory experience. 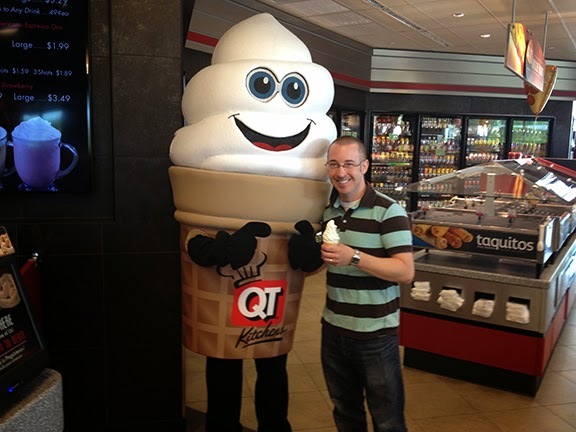 We even got to hang out with an anthropomorphic ice cream cone who didn’t seem to mind a bit that Robert ate a tiny him. He gets it. He’s delicious. Here’s the rundown on everything we had. Despite the event being in the a.m., we started things off with a milkshake, as it is totally legal to get a milkshake for breakfast if it has breakfast food in it. Of course, we were going to get this first anyway, because bacon.